Practicing Weissenborn Study #5. Weissenborn Opus 8/2, Study #5 for advanced bassoon students. Varied articulation. Phrasing and breathing. Guest Performer Vincent Igusa. By Terry B. Ewell, Bassoon Digital Professor. Translated by Elena Iakovleva. BDP#113. www.2reed.net. 1.Furioso means forceful and turbulent. This exercise should be played with much energy. 1.Furiosoобозначает сильно и турбулентно. Это упражнение надо играть очень энергично. 2.There are five articulations in this study, all of which need to be played differently. These five articulations in the order of appearance are staccatissimo, no marking, staccato, accented, and accented with staccato. 2.В этом этюде есть пять штрихов, и всех их нужно играть по-разному. Эти штрихи являются staccatissimo, без маркировки, staccato, акцентированы и акцентированы со staccato. 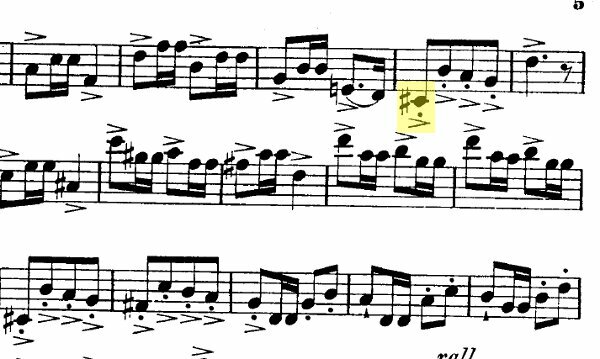 3.In this study I prefer to play the staccatissimo notes not only shorter than the staccato notes, but also with an accent. 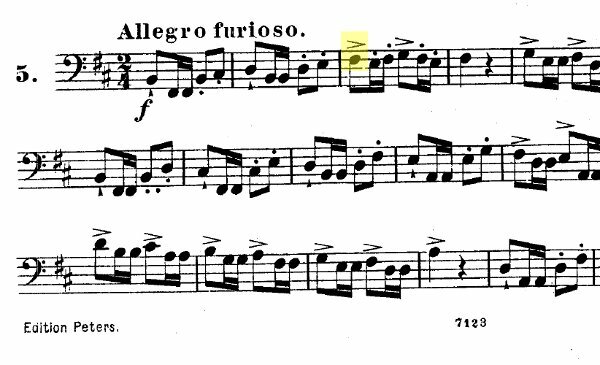 I think that this better expresses the Furioso marking. The accented notes with staccato are separated and with emphasis, but they are never as short as the staccatissimo notes. 3. В этом этюде я предпочитаю играть ноты staccatissimo не только короче, чем ноты staccato, но к тому жэ и с акцентом. Я думаю, что это лучше выражает обозначение Furioso. Акцентированные ноты staccato я играю раздельно и с акцентами, но они все равно никогда не бывают такие короткие как ноты staccatissimo. 4.Improve control over your tongue by practicing these articulation drives. The number 1 indicates the shortest duration (staccatissimo). The number 5 indicates the longest duration (legato tonguing). 4. Улучшайте контроль над своим языком, занимаясь этими упражнениями для артикуляции. Число 1 указывает кратчайшую длину (staccatissimo). Число 5 указывает самую длинную длину (артикулированный легато). 6. Уход за садом более приятен когда другие нам помогают. Нам нужна помощь и поддержка других. Не позволяйте вашим занятиям превратить вас в отшельника! Не забудьте поделиться своими талантами и опытом с другими. Tending the garden is more enjoyable with others helping. We need the help and encouragement of others. Don’t allow your practicing to make you a hermit! Be sure to share your talents and experiences with others. Copyright © 2014-18 by Terry B. Ewell. All Rights Reserved. Copyright © 2014-18 Терри Б. Юэлл. Все права защищены.